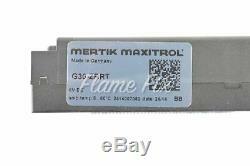 The Maxitrol G30-ZRRTTB receiver is an ultrasonic battery powered receiver used with the Maxitrol valve and remote. The Maxitrol G30-ZRRTTB is a backwards compatible model that is used to replace the now discontinued. You will be unable to use the old wiring harness that came with the G30-ZR-RTT on the G30-ZR-RTTB. Please remove the old wiring harness and use the harness that comes with the G30-ZR-RTTB. Pairs with the Maxitrol Remote model G30-ZRHTT (FP0121). Includes wiring harness Batteries not included. How To Sync Maxitrol Remote System. Listing and template services provided by inkFrog. 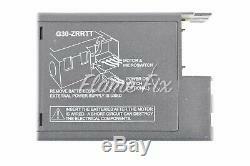 The item "Maxitrol G30-ZRRTTB/G30-ZRRTT Control Module" is in sale since Tuesday, February 21, 2017. This item is in the category "Home & Garden\Home Improvement\Heating, Cooling & Air\Fireplaces & Stoves\Replacement Parts". The seller is "flamefix" and is located in Sumas, WA. This item can be shipped to United States.